Established in 1989 this outdoor circuit in the West Yorkshire area has recently been extended to a full 900 metres. 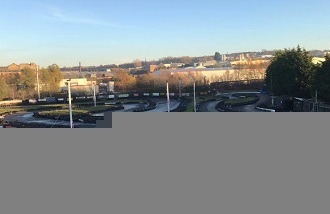 Its fleet of single and twin-engine karts provide a good balance of power and handling for experienced and novice drivers alike.As per most other tracks Bradford Karting run Grand Prix sprints and endurance events with prices starting from £20.00. The circuit is now under new management and their enthusiastic team are keen to ensure that the venue will be Yorkshire's premier outdoor kart track. Springmill Road is just off the A641 Manchester Road (eastern side). They run tuition or training sessions (on request).